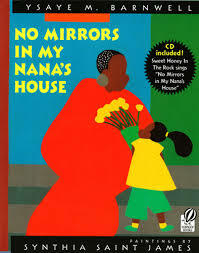 Whilst ‘Mirrors, Windows and Doors’ has become a collective metaphor to encompass the need for diversity in children’s books, there are plenty of books that use physical windows, mirrors or doors to tell their story. 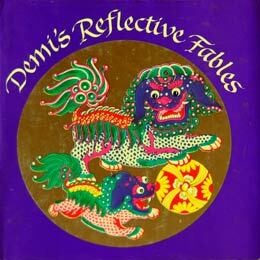 Of course, as well as being a necessary ‘prop’, like in The Hello, Goodbye Window, they can also provide figurative meanings beyond their actual presence – this is especially evident in Demi’s Reflective Fables, for example, which not only provides a real mirror but asks readers to ‘think about [reflect on…] the meaning of each fable’ whilst reflecting the illustrations. A wonderful alphabet book (one of my favourites!) that has capital letters in one direction through the book and lower case letters in the other. The joy of the book is that both the letters themselves and the objects represented are depicted anamorphically: the pictures can be viewed in the correct perspective by placing a mirrored cylinder over the circle in the middle of each page (each circle also containing the line drawing of a plant beginning with that letter). 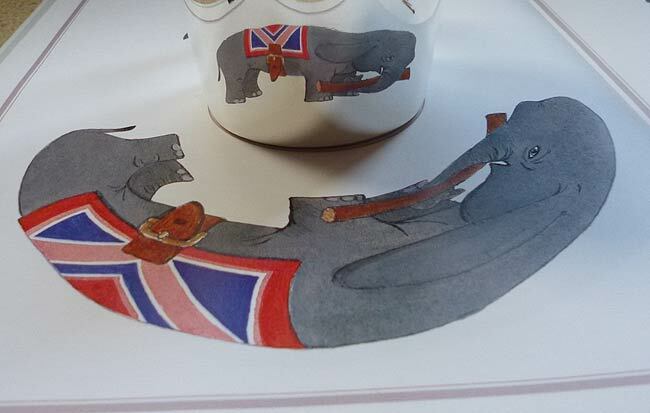 My second-hand copy of the book came without the mirrored sheets provided but it’s easy to make a substitute cylinder, as you can see from my photograph below. 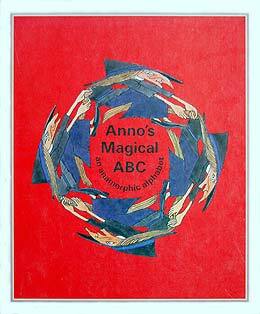 A page of ‘Clues to Anno’s spells’ provides a key to all three items for each letter – and a bonus is that the Japanese is also given. In the centre of the book there are instructions for creating your own anamorphic drawing. An amusing and charmingly illustrated retelling of a Korean folktale in which a merchant brings home a mirror from a trip to China. 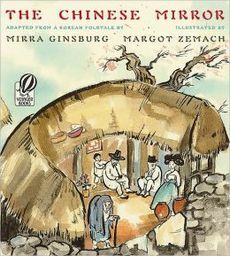 Since no one in his village has seen a mirror before, everyone who looks into it thinks there is a stranger lurking, and the results are likely to arouse great glee in young listeners, who will understand exactly what is going on all the way through! This gorgeously illustrated story, set in Rajasthan in India, is a beautiful variation on the classic Cinderella, with a wicked step-mother, a lazy step-sister and a handsome prince who is disguised as a ‘working man’ when Chanda meets and falls in love with him. 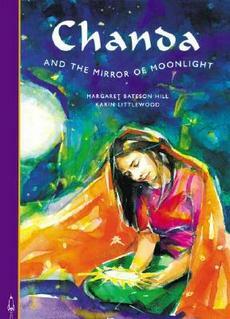 Add to the story a precious magic mirror bequeathed to Chanda by her mother, a kindly old woman, a banyan tree and a friendly peacock, and you have a satisfyingly unique read – and it’s not a glass slipper but the mirror that fittingly saves the day. 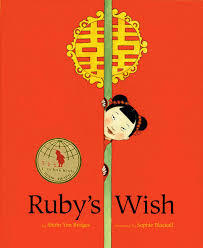 Each double-page spread in this gorgeously illustrated book is the succinct retelling of a Chinese fable, beginning with ‘The Mirror’ – in which a dragon brings a mirror home to his dragoness wife (compared with Mirra Ginsburg’s picture-book retelling – see The Chinese Mirror, above). 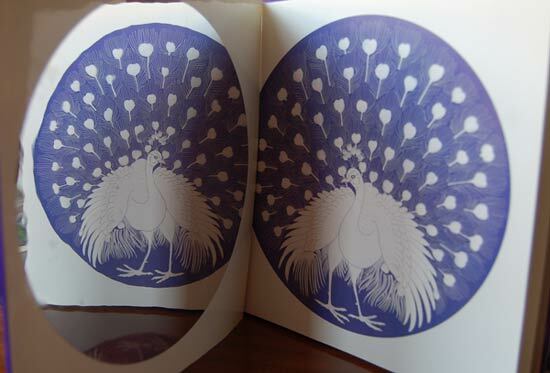 Each fable follows a theme of mirrors and/or contrasting perspectives, sometimes literally, sometimes figuratively; and often the moral at the end asks the reader to ‘reflect’ on its meaning – to contribute to these ideas, there is a ‘mirror’ inside the front cover that can be used to reflect the round illustration on the right-hand page. 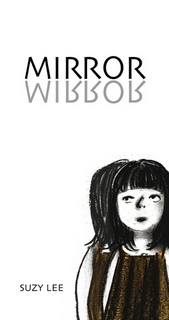 The mirror is not simply a gimmick; it is a useful tool for spending a bit of time pondering the meaning of each fable. A short Author’s Note gives some historical information about Chinese bronze mirrors and how and why they were treasured. 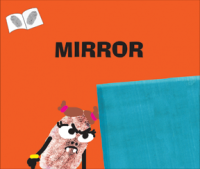 Although not about an actual mirror, the physical mirroring of the two wordless stories within the single unifying covers of this thought-provoking and deservedly award-winning book makes this a must for inclusion here. The collage artwork is stunning, filled with captivating detail. Through a mirrored layout of two halves, helped serendipitously by the different conventions for reading a book in English and in Arabic, Mirrors follows a day in the lives of two boys, one in Sydney, Australia, and the other in the Valley of Roses in Morocco. They don’t know each other, and there is no hint that they ever will, but in essence their lives mirror one another’s – and there is one object that connects the boys across the miles. 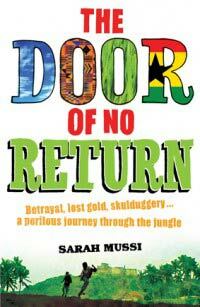 ‘I don’t want to be old,’ says Sam – but then, horror of horrors, the next day he looks in the mirror to discover that he is old, and he is in uncharted waters where everyone treats him differently… The nightmare only lasts a day but its effect on Sam and his attitude towards old age is profound. 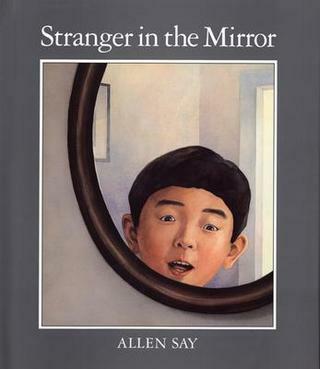 This book has the potential to be disturbing in a good way for its readers, as it makes young and old alike think about their relationships and ways of relating to people of different generations. A poem/song in which a young South African girl grows up knowing love and beauty through seeing the world reflected in her wonderful, far-seeing grandmother’s eyes and not in a mirror. The recording by author Ysaye’s quintet Honey in the Rock is beautiful, and the bold illustrations convey deep emotion, despite a lack of facial features (a clever allusion to the lack of mirrors, whether intentional or not). This is a good poem for introducing young children to the existence of challenges in some children’s lives and the possibility of rising out of them, and is a reminder to all of the importance of love – but it may also raise uncomfortable questions about child poverty and fairness in slightly older children. 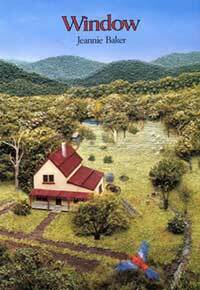 Another powerful wordless book by Jeannie Baker – this time looking at urbanisation. It begins with a mother holding her baby looking out of a window on countryside untouched by human intervention. 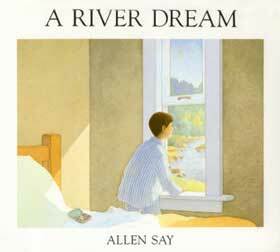 With each turn of the page, the child gets older and the view changes until all trace of the natural environment has been superseded by an urban landscape. By this time the boy is grown up and married, and the final spread shows him with his own child looking out of a window onto a different, undeveloped wilderness… There’s plenty for young readers to look at in the details of Baker’s amazing collages, with visual clues showing the passage of time – and the environmental issues raised are there for the taking. A hilarious story about an old man who never listens to his wife if he can help it – so on this occasion, ends up taking a puerta (door) to a barbecue instead of a puerco (pig). 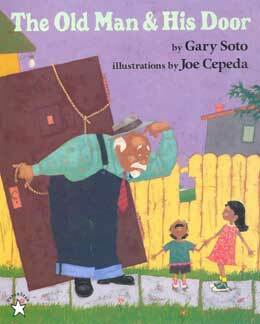 As it turns out, however, the door proves to be very useful… Inspired by a traditional Mexican song, this is a nonsensical story that is sure to entertain. You can’t help but fall in love with the old man, while empathising with his wife’s exasperation! 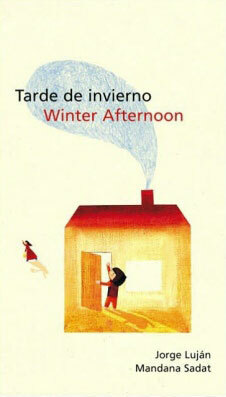 Soto’s narrative begs to be read aloud with lots of Spanish words (there’s a glossary) to keep up the logical confusion between the words, as well as rooting the story in its cultural setting; and Cepeda’s delightful illustrations deliver extra chuckles throughout. supporting the launch of your website. Have pnged a modest few to put on a library wish list. 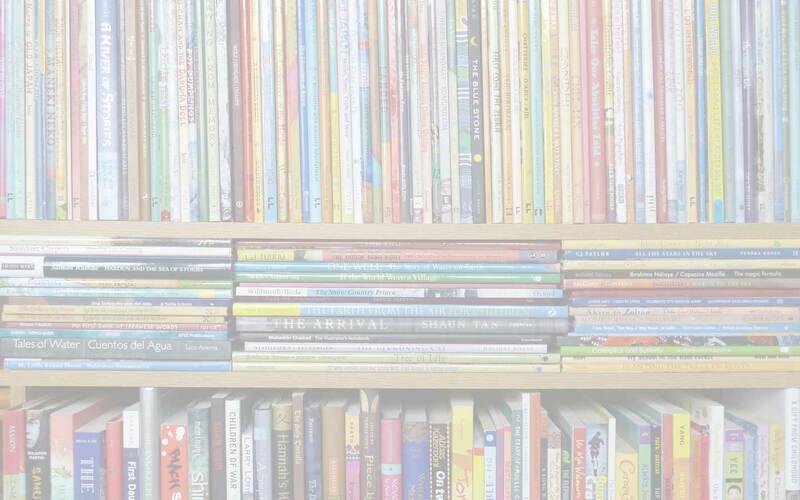 May you inspire thousands of young readers for many years to come with your love of books. Thank you for your kind words, Karen. I imagine your library wishlist has something to do with the Merasi School and I hope it all comes to fruition.